Every landlord wants to get the maximum rental income from their rental property. Of course, regular maintenance is necessary to protect your investment. However, it won’t necessarily earn you top bucks especially when competition is tight. So now the lease has come to an end and your property is unoccupied. What next? What rental property upgrades should you invest in to remain a cut above the rest? It’s fairly usual to give your carpets a detailed cleaning and to slap some paint on the walls. However, doing what everybody else is doing won’t give you better returns. It won’t increase tenant occupancy either. As a savvy rental investor, you should have three goals when it comes to your rental property. These goals are: To increase the resale value, to reduce operating costs, and to maximize rent. To get the best investment return, you need to do these four essential things: One, avoid a high tenant turnover every lease term. Two, improve your property’s value. Three, charge competitive rental rates. And last, but most importantly, you need to invest in the right property upgrades. 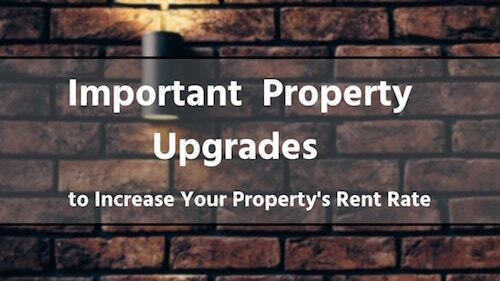 The right property upgrades will likely ensure renting to a higher quality tenant. A renter who will most likely renew their leases multiple times. To make sure your property appeals to the right tenant, you have to look at things from their viewpoint. Location is probably the single most important factor tenants consider when they are looking for a home. 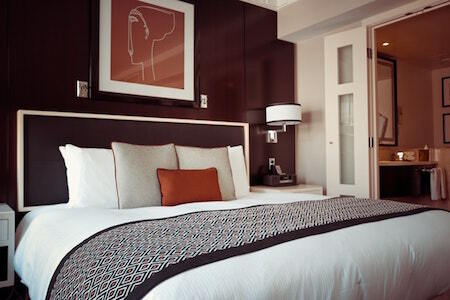 Besides, you will need to carefully examine what upgrades or features will entice the renter to pay more money, rent longer, and take good care of the premises. In this article, you’ll learn 5 important property upgrades that can maximize your property’s value. Let’s get started, shall we? This will give your property a more polished look. In addition, if you purchase a quality brand, it’ll give the normal wear and tear items higher durability. Tenants notice door locks, handles, and window blinds. You can add a lavish touch by spending a few bucks to get the nicer two-inch wood blinds. Also, refined finishes like brushed nickel or rubbed bronze for your kitchen and bathroom fixtures could also do wonders for your property. This is a big but tricky one. It’s the battle of carpet versus wood flooring. Let’s start with the carpet. Carpet is, without a doubt, a high maintenance item. You may need to replace it every lease cycle. This has a negative impact on your annual rate of return. Also, carpets can get easily ruined. One spill of bleach or a stain of Kool-aide can destroy a brand-new carpet. Some renters, however, like to have their floors carpeted. Especially in their bedrooms and during the cold season. Conversely, a good number of tenants may have a carpet allergy or may have a child who has one. Wood flooring, on the other hand, is a great long-term investment. It's also the least expensive flooring option available when considering total service life. There are four wood flooring types: faux, plank, bamboo, hardwood, and laminate wood. So, which one wins in the battle? Obviously wood flooring! 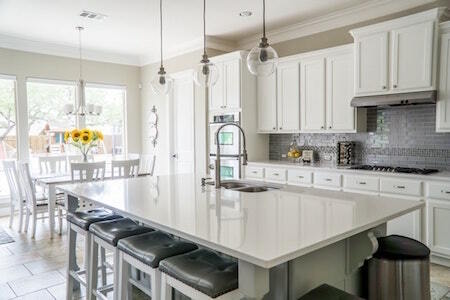 Upgrading your rental property’s countertops can really add value to the heart of your home. There are a variety of selections to choose from depending on your kitchen décor. In the higher-end markets, quartz and cement tend to be popular in rental property kitchen renovations. Generally speaking, though, granite tends to be a good choice. When shopping, keep functionality, durability, and style in mind. As for kitchen cabinets, upgrade to modern, functional ones if the ones you have outlived their functionality. Appliances are the first items prospective tenants look for when they enter a potential home. Needless to say, don’t expect to get top dollar if you have appliances that are old, half-functioning and mismatched. In addition, such appliances often require to be maintained more frequently. In the long run, a temporary fix or band-aiding a problem always costs more money. You want to invest in an appliance package that matches and is of a good, high quality. This is a no-brainer upgrade. Your property’s exterior curb appeal gives the first impression. Sadly, it’s one spot that many investors often neglect. Many investors fail to groom trees or shrubs or plant flowers, forget to power wash the driveway, leave a dilapidated fence up and forgo the much-needed coat of paint. To a prospective renter, this is a sign of your maintenance style. If landlords are going to spend money upgrading their rental property to boost property values and attract the right tenants, focusing on the right aspects is important. Hopefully, this article has taught you what to concentrate on when renovating a rental property.